It is an odd selection of tracks. I certainly wont be rushing out to buy the compilation if it does turn out to be true. I can create it myself and leave off 'Bip Bop'. I still can’t believe people buy CDs anymore. Make your own folks like mmm said and have it your way! I still can't believe that some people can't believe that some of us like having physical things lying about the place and buy more when we don't have what's on them. You know - with pretty pictures and liner notes and other "stuff". As for this compilation, I DO have just about everything on it so I won't be buying. I'm not the target audience anyway. This went up about an hour ago. A quick scan told me there hasn't been an April Fool's thingy in recent years, so it's starting to look more and more like we've been had. Well, I hope so anyway. I'd be very excited about an album with new material! Here's the press release from the official site. The quotes from McCartney really do make it sound a bit pointless and superfluous. "We were sitting around in the office chatting about putting out a compilation of some songs we quite like, so we did." Exactly, and that's one of the reasons I still have a hard time believing it's real. I mean, would the Paul McCartney we know be so flippant about it? I mean, this is the same person who gets accused of breaking up the Beatles due to being too controlling about how he wanted his songs played, right? Would he really be this callous about a career-spanning compilation? Either way, I'm really hoping it's a joke. So did Amazon take the bait and just run with it with no word or were they in on it? Do you get a full refund if you have pre-ordered it or do they send you a gift card? Wiki have it added to the Paul discography page. Ummm, it's still being sold on Amazon. They have two more versions listed. 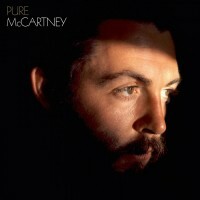 Would be highly amusing if there was such a demand for this that Paul had to release it with those very same 67 tracks. Can easily see some fraudster putting this out as legit on ebay or similar as highly collectable before it was cancelled for unknown reasons. I always quite liked Wingspan: Hits and History, which had the second disc containing non-singles that McCartney liked and wanted to share. That album had quite a clear purpose, whereas I think this one doesn't. I wonder if it would be a stronger album if it was divided into 2xCDs for hits, and 2xCDs for other songs, both presented in chronological order. Same, this compilation doesn't even include anything from the Fireman albums so it's not even useful to those like me who already have that compilation. It's like Apple all over again. It does, it has Sing The Changes from Electric Arguments. Which makes me wish he'd included Nothing Too Much Just Out Of Sight from the same album, or Cut Me Some Slack with Sirvana. I love it when McCartney rocks out. Can I just add how much I love the artwork? That's a great shot of McCartney. I don't think I've seen it before. One of Linda's? There are also about three or four songs from it up on Spotify. So we're in the position of not having a clue if this is real or a joke? Spotify will have added it due to the announcement yesterday. Get it up and get folk interested. If it is a joke, we'll probably know in an hour. The previous announcements were all at 6 PM CEST, and it's 5 PM now. Hey, it could be real, I'm just having a very hard time accepting it as such. There are, to me, at least, too many anomalies. The official announcement was posted on 31 March, as were the cryptic tweets. It's real, hence the pre-orders on Amazon etc. Yeah I was just thinking how much I like that cover shot. And no, don't think I've seen this one either. Love the light and shadow. The covers pics the best part of the release, is a wonderful photo. Anyone able to date it? Breakup era, definitely. 70 or 71 would be my guess. I've seen it before, can't remember where, though. I thought the two cd set was just discs 1 and 2 and then the 4 cd box was discs 3 and 4 but they're not, plus the vinyl has a different track order to the cd's. I'm puzzled by why you only get 18 more tracks on the larger package; the two cd set having 49 tracks, the box 67. This does have the feel of Paul and few others having a chat during a lunch break randomly naming songs and someone has run with it. If its legit. If it is why that latest post on Paul's twitter page. Was that just marking that today is April Fools Day? Beats me. If it is real, then I'm not happy. It means having to wait that much longer for a new album. I'm not buying this one, anyway.